Wool and fibre are becoming trendy as design and fashion go back to basics, combining local natural materials with modern technology. 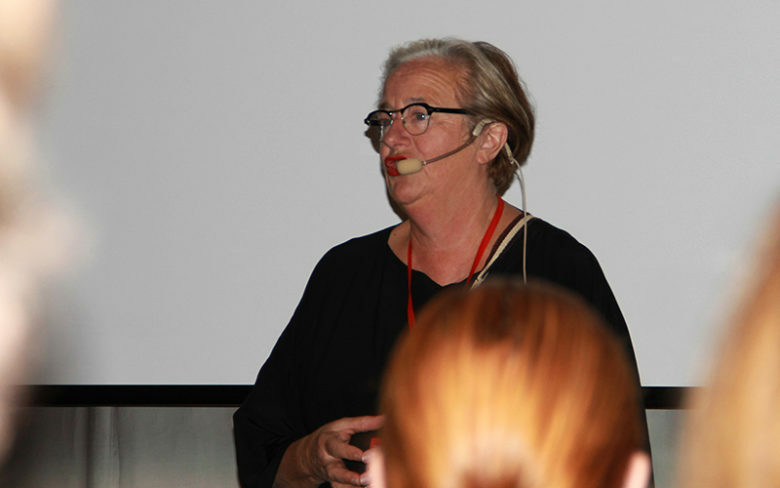 This was one of trend forecaster, Lij Edelkoort’s, main messages during her presentation about upcoming trends at the 18th European Textile Network Conference held on 16 – 17 September 2017 in Borås, Sweden. As feltmakers and wool lovers, we have long been aware of an increased interest in our handcraft, but it can only be a positive thing when confirmed by such a respected expert. 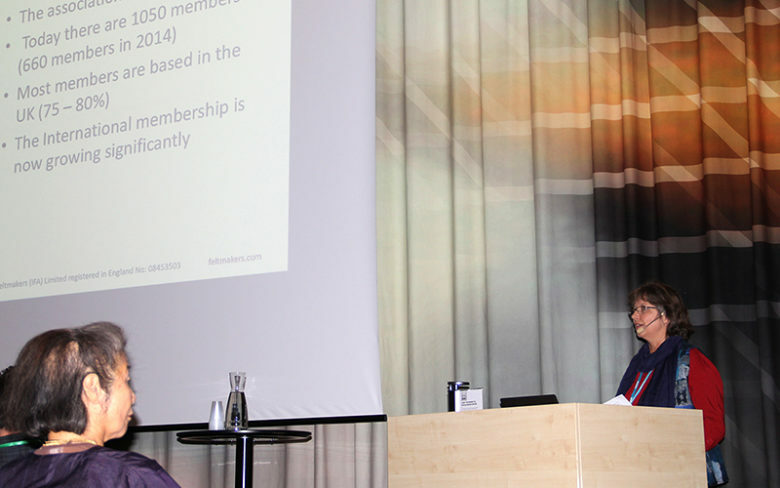 Every other year, ETN has a 2-day get-together somewhere in Europe, and this year it was in Borås. 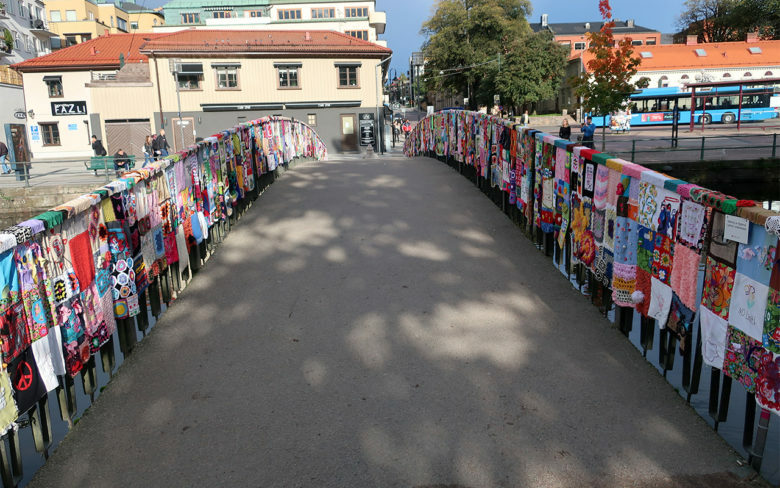 The city of Borås is an old Swedish centre for textile manufacturing. Today, most of these old factories have closed down their production or moved it to other countries. But the city has preserved all the knowledge in the region and developed its Textile Institute and High School into one of the most innovate centres for smart textiles in Europe. ETN is a non-profit organization founded in 1993 that works to bring together cultural producers, cultural heritage institutions, lecturers, researchers and textile enthusiasts to promote the exchange of information and experience, to encourage cooperation in projects, and to arrange meetings. 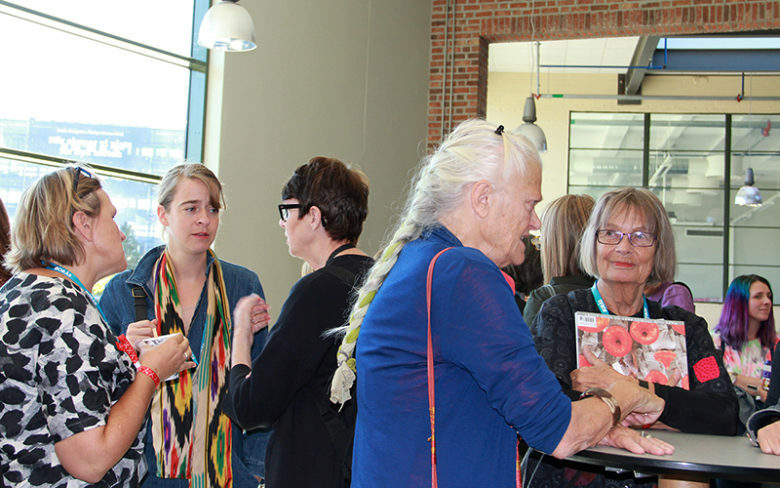 Despite the “European” in the name of the organisation, this meeting had delegates from all over the world, including, for example, the weavers Catharine Ellis from the US and Jun Tomita from Japan. Another up and coming trend is contemporary artists using textiles as source material for their work without being so-called “textile artists”. Linda Fagerström, who has a PhD in Art History from Växjö University and writes reviews for newspapers, showed us numerous examples from Documenta 14 in Kassel and this year’s Venice Biennale. Faigh Ahmed is one of these contemporary artists, expressing himself through an examination of carpets. By going back to the traditional decorative craft of carpet-making in his Azerbaijani roots and, at the same time, looking at the development of Western art, he creates contemporary sculptural works with references to carpets as nobody has seen them before. 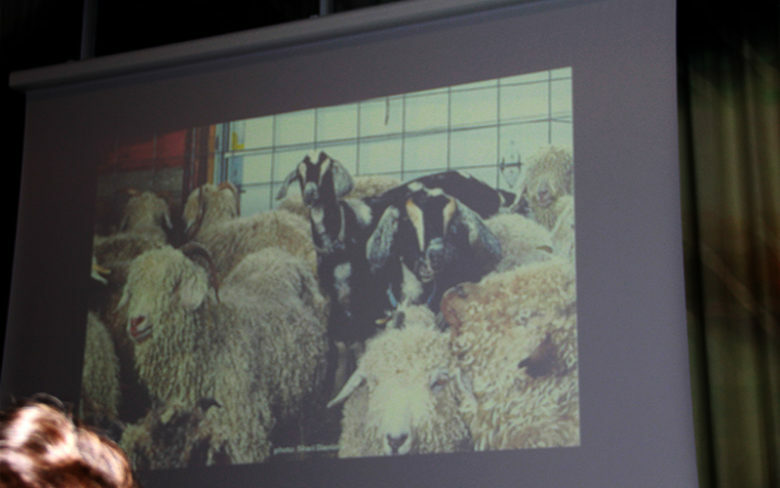 It was at this worldwide get-together that Johanna Rösti, President of the IFA, made a presentation about International Feltmakers, bringing the audience’s attention to feltmaking. Feltmaking is an excellent handcraft for both clothing and art and with so many unexplored possibilities. 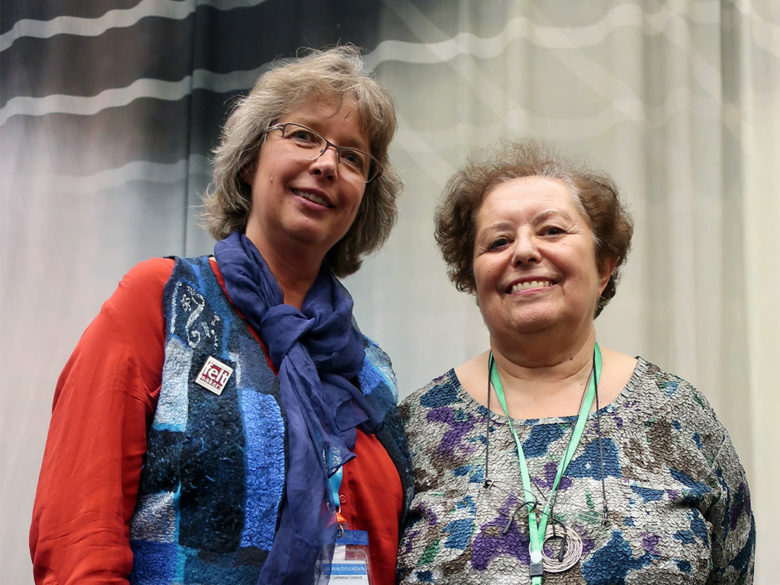 The International Feltmakers Association has an important role as a source of knowledge about the past and an inspirational platform for the future. In July next year, there will be a meeting at Textilien Zentrum in Haslach, which is to be the center for ETN in the future. Having listed to a presentation about the school, I am sure it will be a most interesting conference and a fascinating place to visit.